I’ve been in a frenzy of sewing-related shopping activity since I decided to start sewing a couple of months ago. I’ve bought patterns, tools, books, online courses, and fabric.. Lots of fabric. I’m hooked! But I started sewing partly to curb my shopping addiction, partly to be able to get a much better fit than I can with ready-to-wear clothing, and partly to help curate a wardrobe full of items I really love and stop participating in the trend of “disposable fashion”. So over the last few days I decided to stop and take stock of all my … well, stock… And start to actually plan what I want to make with all the fabric I have now, before buying any more. While I was struggling to squeeze my latest purchase into my “fabric drawer”, I realised I actually have quite a selection already and can’t wait to cut into most of them! But I didn’t really have a clear picture of what to do with each piece, so I wanted to have a go at finalising my plans for each item to avoid duplication. I love this, from Sew Over It , £13/m.. 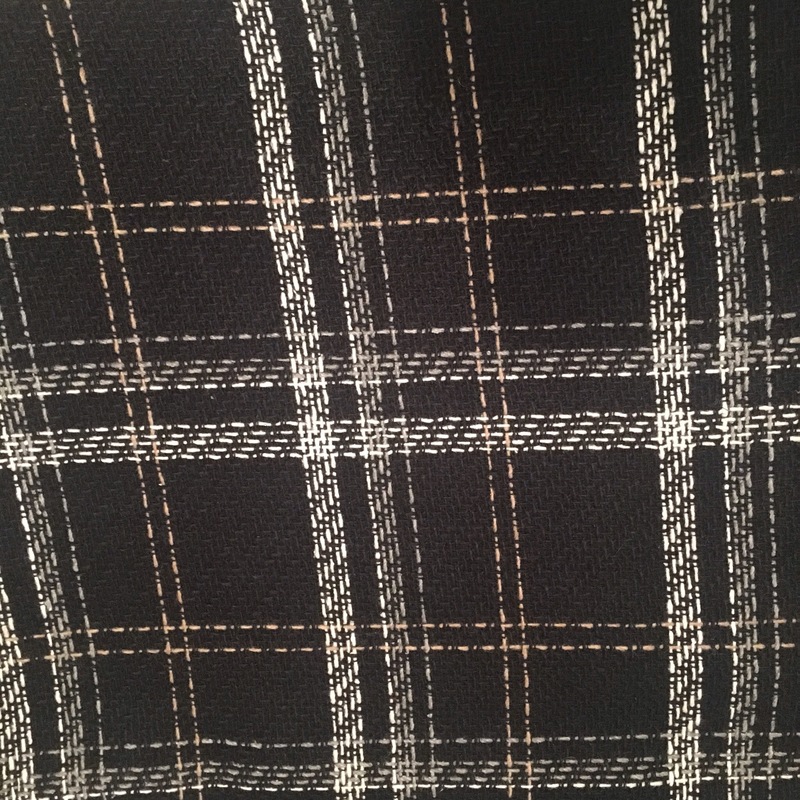 I have used part of this monochrome tartan wool blend fabric for a pencil skirt, but still have a fair amount left so I’m tempted to try and make a matching cropped jacket of some sort. Maybe with the Victoria blazer pattern or one for a simple cardigan/Chanel style jacket. I need a bit more sewing practice first though! 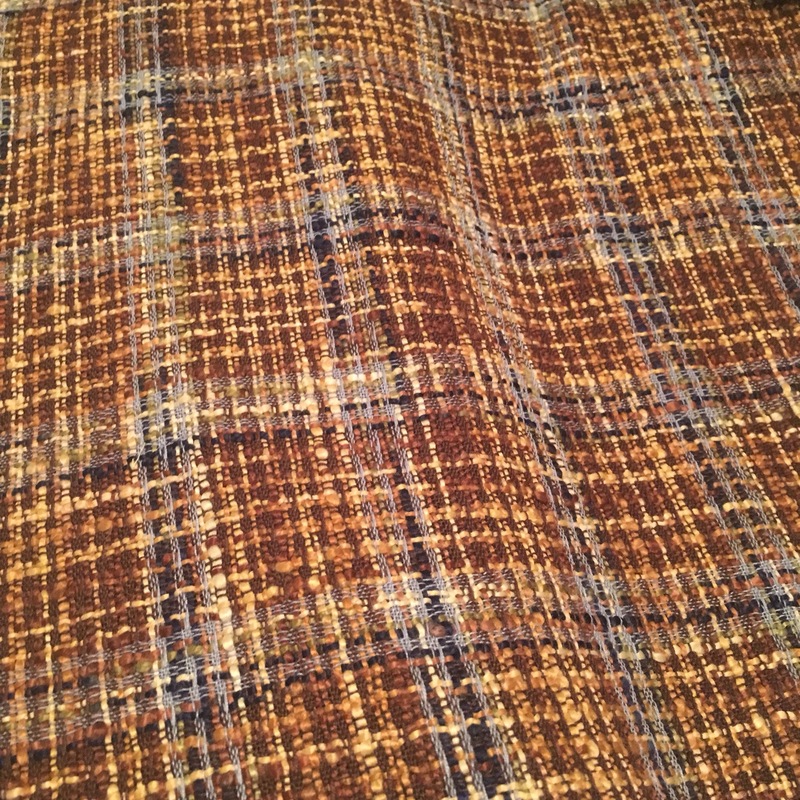 I got this brown-based tweed/wool blend fabric years ago on a rare trip to a fabric shop with my mum. I can’t even remember why we were in a fabric shop, but I got a few cuts of fabric intended for work wear. Haven’t managed to sew anything from them yet though, mainly due to fear of cutting into them! 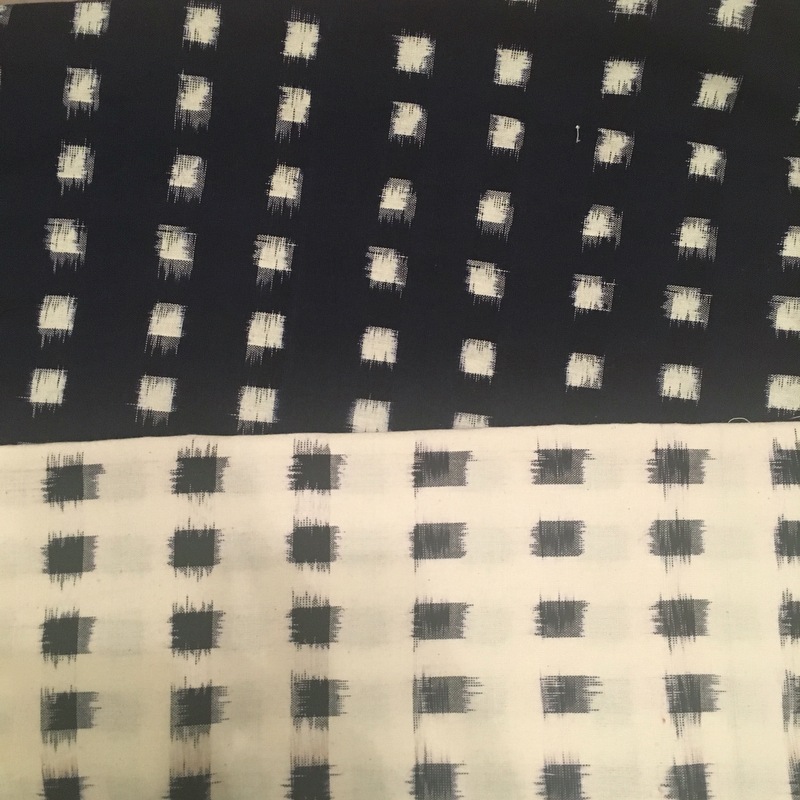 That stops now..
For this fabric I’m thinking to do a simple, round necked, three quarter length sleeve, knee length sheath dress. I hope I have enough fabric! Not the world’s best picture (!) 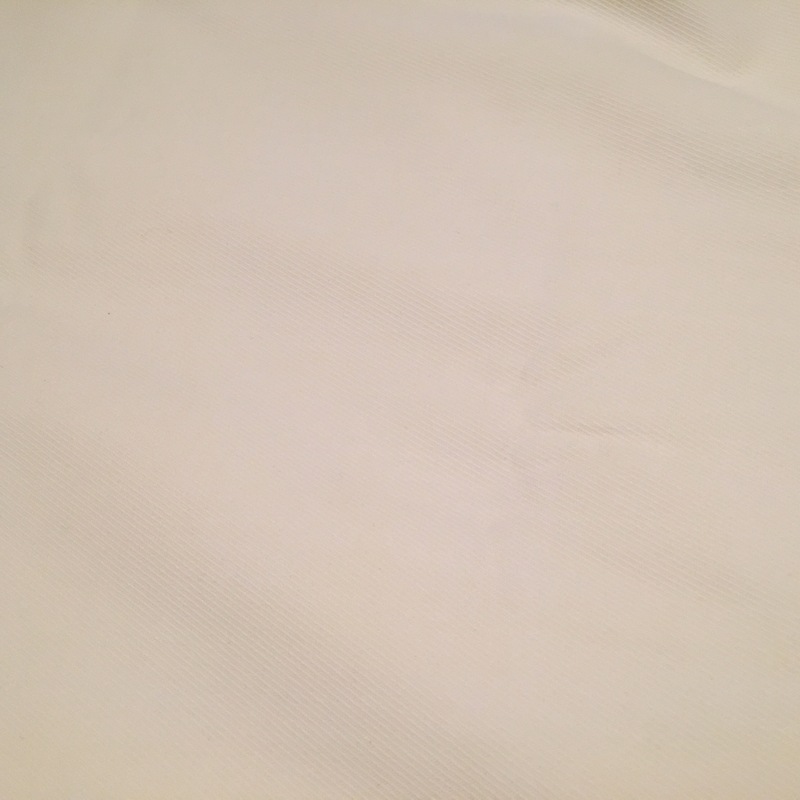 but this is a plain ivory twill cotton mix fabric with a subtle texture and nice body. It’s also one from Sew Over It and cost £12/m. I’m torn as to what to do with this one.. A pair of wide legged high-waisted trousers maybe? Or a fitted sheath dress, sleeveless, that could still be worn to work under a dark blazer.. Or maybe just a pencil skirt?!? Hmm, needs further consideration. 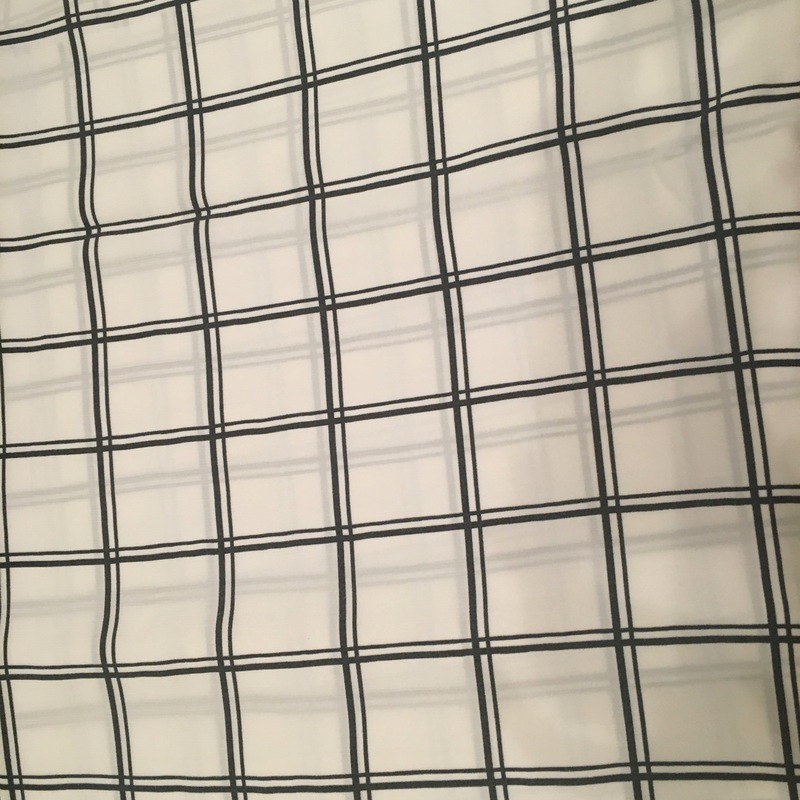 Next up we have this monochrome checked lightweight poly jersey I took a chance on and ordered from The Textile Center on eBay at £3.99/m. I’m thinking it might make a nice cropped sweater for layering?? I have the Astoria pattern from Seamworks magazine so am tempted to give it a go once I’ve had a bit of practice sewing knits. Hopefully it’s not too lightweight. Ka-ching! I like it! And the fabric is a woven which feels lightweight, drapey but not hugely so, and cool to the touch. Like a rayon/viscose feel?? So I’m thinking maybe as a lined summer dress, under a black blazer, the peplum hem dress may be a winner. I also have a plain black suiting wool that I didn’t bother taking a picture of. It has a bit of drape to it, and I’m torn between a few options all of which I’ve been drooling over on the Beaute J’Adore blog – this woman, Nikki, is downright amazing! There’s this Cropped top and tailored trouser set which I love love love (but might have to make with the top a touch longer so as not to have the sliver of skin showing when I wear it to work. But is it the sliver of skin that makes it so perfect?!? Decisions, decisions..). But then there’s also another gorgeous dress due to go up on the same blog (according to her Instagram – I’m a total stalker but scared to post her pics incase of copyright issues… Take a look through her blog though. Every post is amazing). 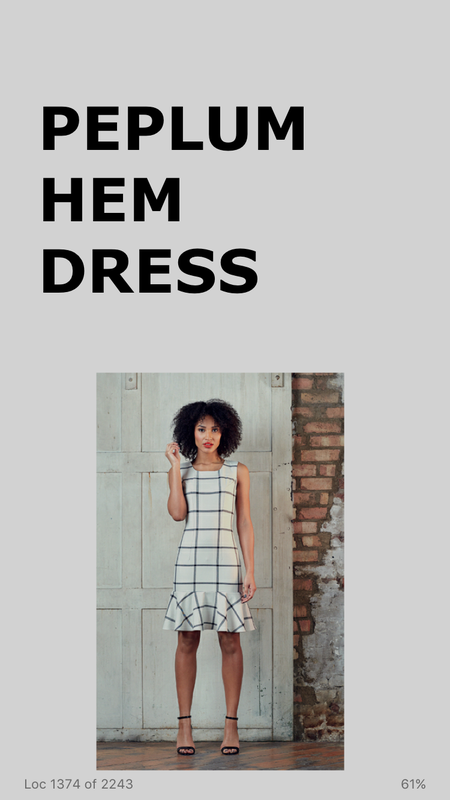 And this dress, from the same blog with (another) cute peplum hem.. All serious contenders. So that’s another fabric I need to spend a bit more time thinking about. That’s probably enough for Part One of my organisational musings. 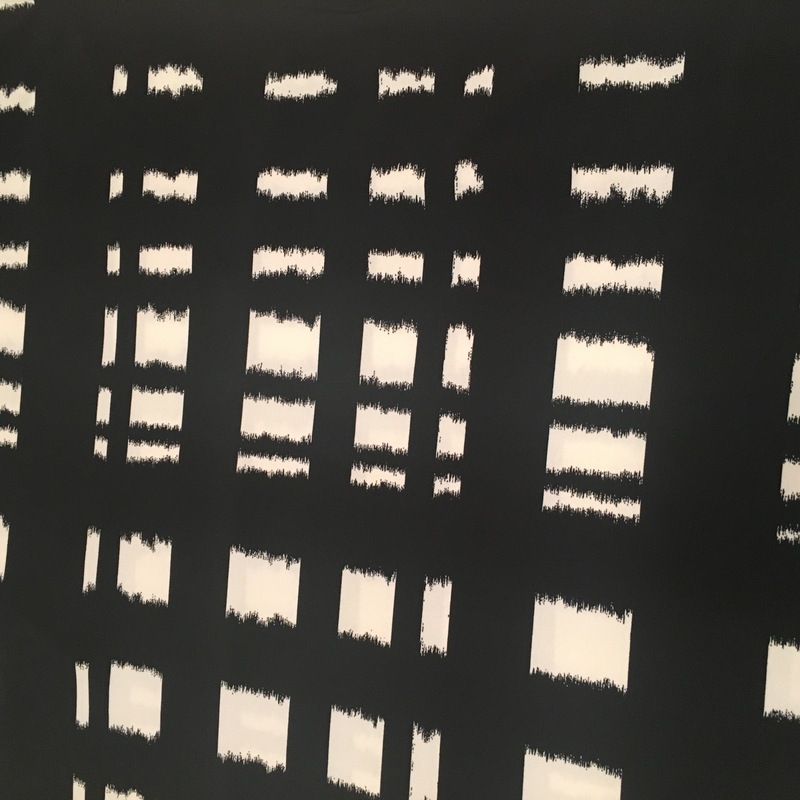 Next time I’ll go through another set of fabrics, and then I’d like to do the same with the patterns that are crying out to me to make them, so that I know which ones to focus one and I can stop buying similar patterns. I realised this week that I have four different patterns for a cardigan/Chanel inspired jacket. Why?!? I get the impression that the whole fabric/pattern stash hoarding thing is a sure sign of a keen sewer. 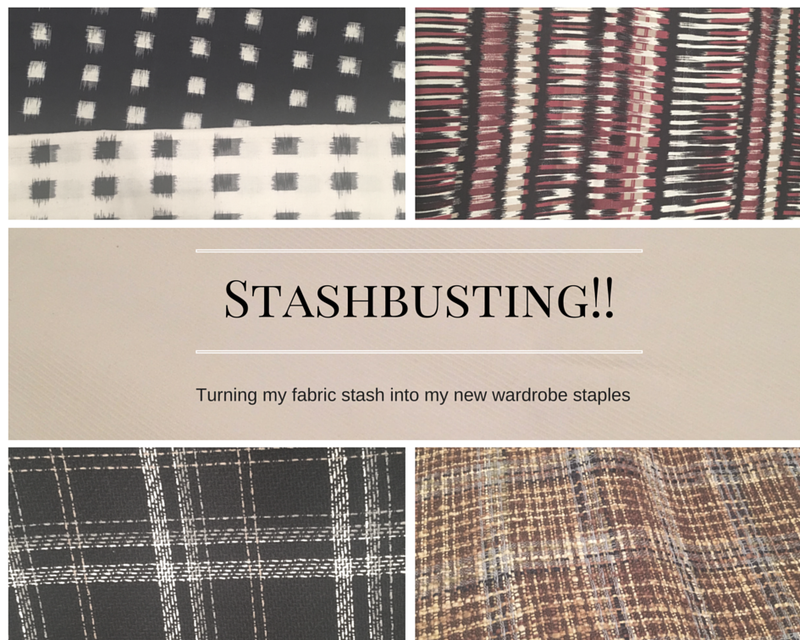 I’m having to seriously restrain myself from doing any more fabric shopping but I hope that collecting my thoughts for this post will have helped with that. Fingers crossed! looks like you are off to a great start, can’t wait to see your finished projects. check out my blog for sewing tips and posts of my projects coming up. Thank you! I will definitely have a read of your tips and posts this morning! Can’t wait to see what you sew! I love all the fabrics! Thanks Abigail! I can’t wait to make them.. But it’s slow going at the moment trying to fit it in around my children, it could literally take me the rest of the year to get through my stash!